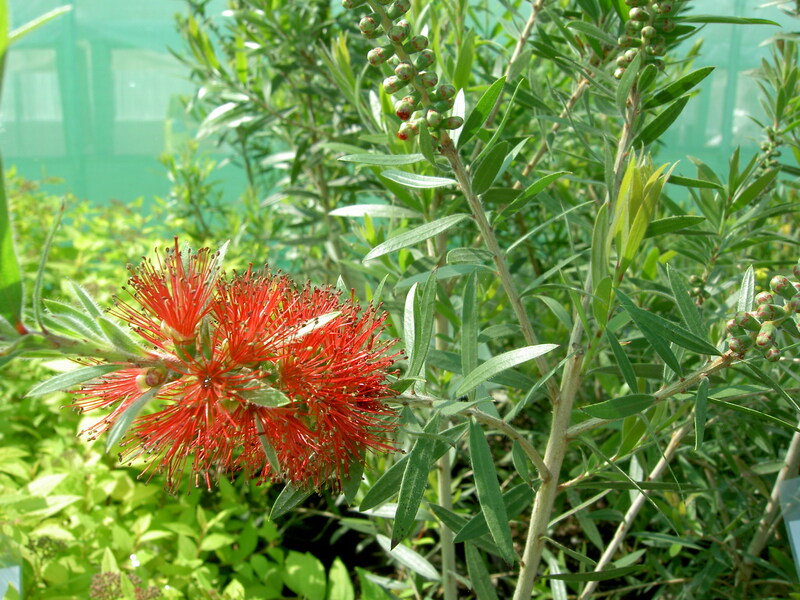 Upright growth,red 'Bottlebrush' flowers over a long period in summer.Sunny position in moisture retentive soil. A great evergreen for a sunny,well-drained situation. The small leaves are glossy,rich green and this is one of the best Ceanothus being covered in rich blue flowers over a long period from May to July. 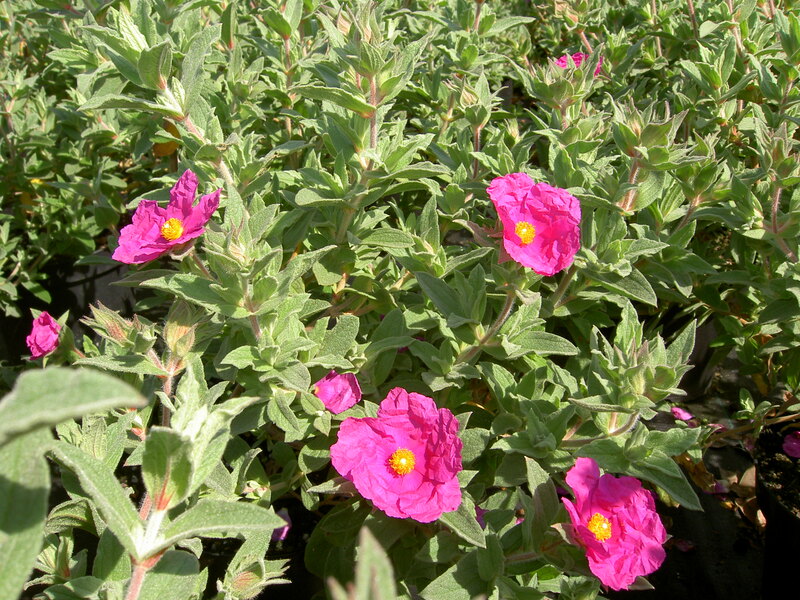 Can be trained against a sunny wall or fence or grown as a free-standing shrub. Shrubby form of 'Hardy Plumbago'. Rich blue flowers from late summer and into autumn.Bushy growth to 90 cms. Spectacular weeping tree of medium size.Rounded,glossy green leaves. Upright in growth,the new growth is velvety purple-red in colour becoming greener towards the summer. The leaves have a strong candy-floss scent in the Summer and Autumn. 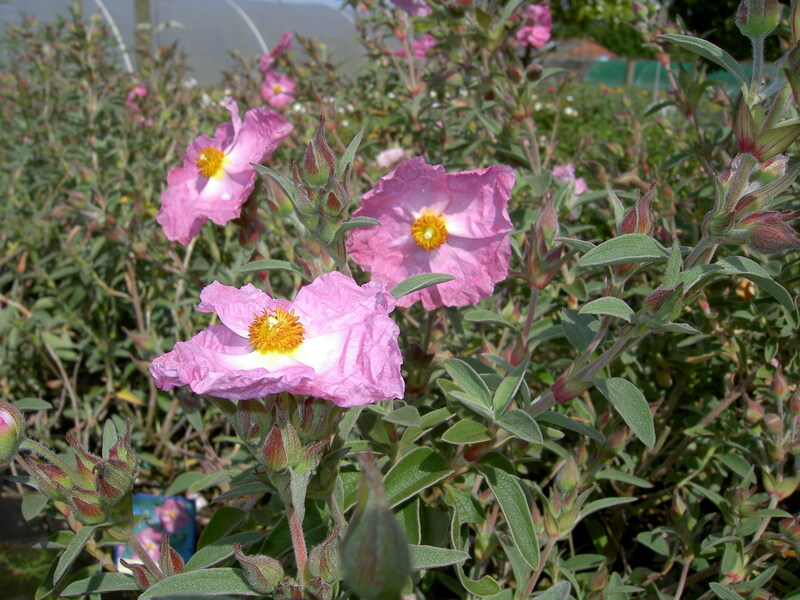 Strong growing evergreen shrub for a well-drained,sunny site. The large papery-white flowers have central red blotches and are carried from May. Height to 1.5 metres. Evergreen sun-lover,rich cerise papery single flowers over a long period in summer.Height to 120 cms. Large,red/purple papery flowers are carried from May. Likes a sunny position in well-drained soil. Strong growth to 1.5 metres. Evergreen sun-lover,single papery soft pink flowers in profusion from late spring.Spreading growth with a height up to around 90 cms. Grown for its upright or slightly pendulous terminal racemes of pea-like yellow flowers in Summer 'Yellow Wood' also has striking Autumn foliage colour. Small to medium sized tree,very hardy.